Dina Chaiffetz, Director of Product Strategy @ Prolific Interactive. If you want to learn more from Dina, checkout out recent podcast with Dina talking about user psychology. A great introduction into how consumer psychology can help drive good design, engagement and growth! People tend to behave in similar ways although we think we are very different. There a common ways we behave, think, judge and decide so you need to understand these principles to influence the consumer through your design and growth strategies. 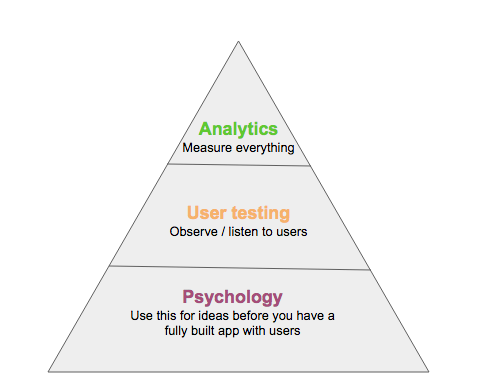 Get to know the pyramid of user understanding! Consumer psychology is a really important foundation, especially when you don’t have the scale to validate or do A/B tests. Lots of data exists in Consumer psychology so you have a great quantitative source that you can leverage to explain how people behave they way they do. User testing and research is really important to make the decisions and get buy in for the significant changes you may want to make to your product. It helps you to understand your target audience and how they behave with your products. Then Analytics & A/B testing helps you to refine the experience and test how consumers are really behaving and experiencing your product. When people can see progress towards a goal they will have a great commitment to achieving that goal! When designing progress bars you need to understand what the user sees as progress. Artificial progress is also great but it’s really important to get the user to see the reward of artificial progress. This gives them a sense of instant achievement. People have greater brain activity when presented with statements that are somewhat correlated but not so obvious. Friction is a good thing to drive learning. This happens when you need to decide or compare between 2 or 3 options. Most effective when you give users 2 options but not significantly different but have enough to make difference and help them make a decision. Can use this technique to help users make a decision during the buying process. Sometimes this is called the decoy effect. Need to think about whether adding social features is right for your App, as you can introduce complexity that can hurt your retention. For example learning is really an individual experience not a group experience. The best learning strategies for on boarding are the simple ones. You are an expert on your product, so put yourself in the user’s shoes. You need to design onboarding so most people can understand. The on boarding information needs to be instantly valuable at time of sign up to support an user on how to get quick value from the App. Use a progress line to show where users are up to in the learning process. What is an activated user? Be clear about this for your App, as every app is different. Look at the step in your funnel that will drive the best retention. Try to define your “Aha” moment. For example let people experiment with App, then define the best moment that is right to ask for signup. 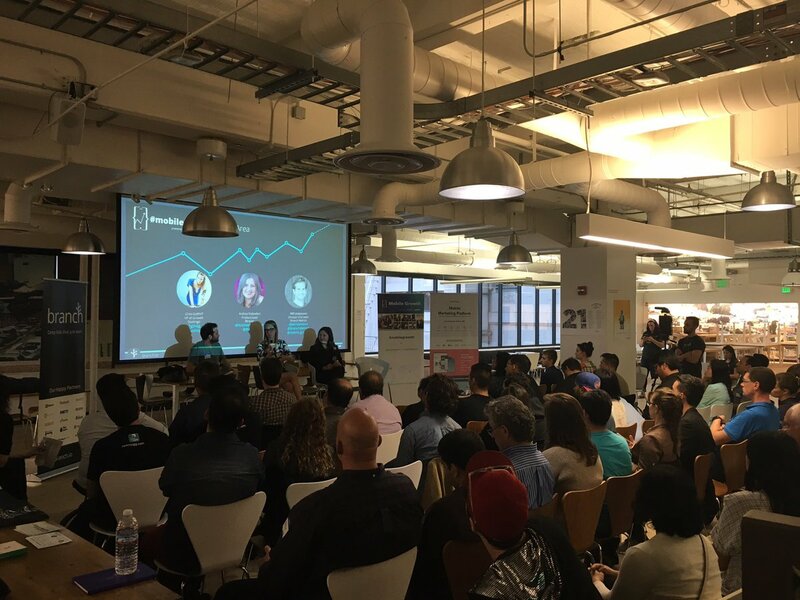 Before growing your product make sure you have good retention, otherwise you will waste your time. Identify the main leaks in your bucket. If you small and just getting started, use email for A/B testing If you have an e-commerce App, invest in an external provider like Optimizely. You can A/B test anything, but keep is as simple as possible. Choose what is going to have the highest impact. As mentioned on the pyramid piccy, there is another awesome summary by @naja2183 on Medium.